As I stated in one of my reviews, the beauty of this series is the fact that these men know and embrace who they are while learning to understand and embrace the humanity within. This was doubly true for Saber Alexiares in Blood Redemption. As a vampire born of light and raised in darkness, Saber battled inner demons in a very literal sense. Blood Redemption gave us a glimpse into the heart and soul of a man who had never known that he had either. I waited a long time to read his story, to learn his history, and to experience his journey toward redemption and I was not disappointed. Tessa Dawn delivered a powerful story filled with a wide range emotion. We felt the anger and fear of a man lost, in brilliant union with the love and passion he discovered on his path. Blood Redemption was an amazing addition to the Blood Curse Series and Saber brought us face to face with the conflict that can often exist within us all. And here I am…excited about a book again. An important aspect to any novel is the ability to draw the reader in and make them feel as if they are a part of the story. In the Blood Curse Series, Tessa Dawn has created characters that fit the description of legendary creatures of the night, but who are, above all, beings who experience and act upon their emotions like ordinary humans. They are…in a sense…us. Only stronger, faster and deadlier! And what draws the reader in is the empathy that manifests. We feel for these characters. We wonder about their motivations, we feel their pains and we celebrate their joys and successes. At the end of the day, we want to be them. So if you have not yet taken a journey into Dark Moon Vale and shared in the experiences of the Silivasi brothers and the House of Jadon…get on board. The next fantastic tale arrives on June 12th! For more information on this series, check out http://www.tessadawn.com and learn about the author, the books in the series, and the characters. As someone who has read a wide variety of vampire lore series and authors, as I have, what is it about Tessa Dawn’s series that you like above all? The character development is amazing! You feel each person and it draws you deeper into the stories. But beyond that, the origin story is original and captivating and it sets up the conflicts that arises in each novel. The series is the perfect balance of everything I enjoy about Dark Fantasy. Absolutely Awesome Review! Saber is definitely at the top of my favorites in—The House of Jadon, his character depicts, ‘The Ultimate Outlaw’ for me. So dysfunctional, twisted, and demented, he can be you best friend, or your worst nightmare. As bad as he is—is as passionate as he is. I am so antsy for Blood Father’s release. 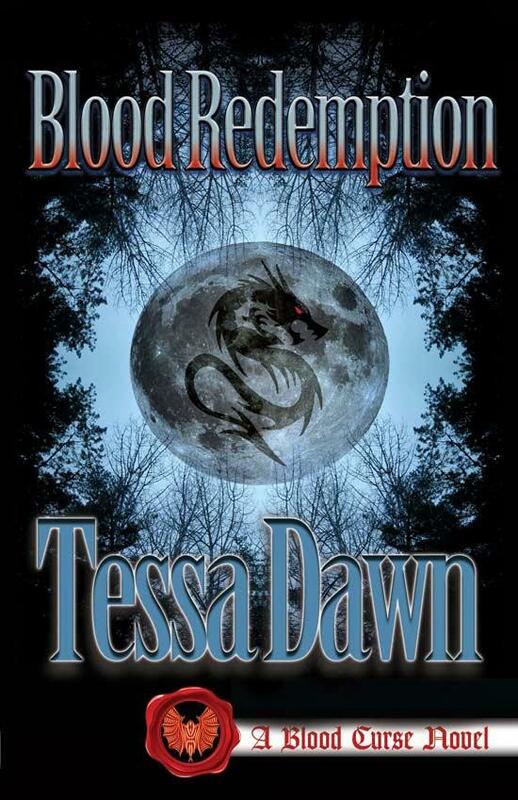 Absolutely Awesome Review of Blood Redemption (Blood Curse Series, #5) by Tessa Dawn!! Saber is definitely at the top of my favorites in—The House of Jadon, his character depicts, ‘The Ultimate Outlaw’ for me. Great series!! 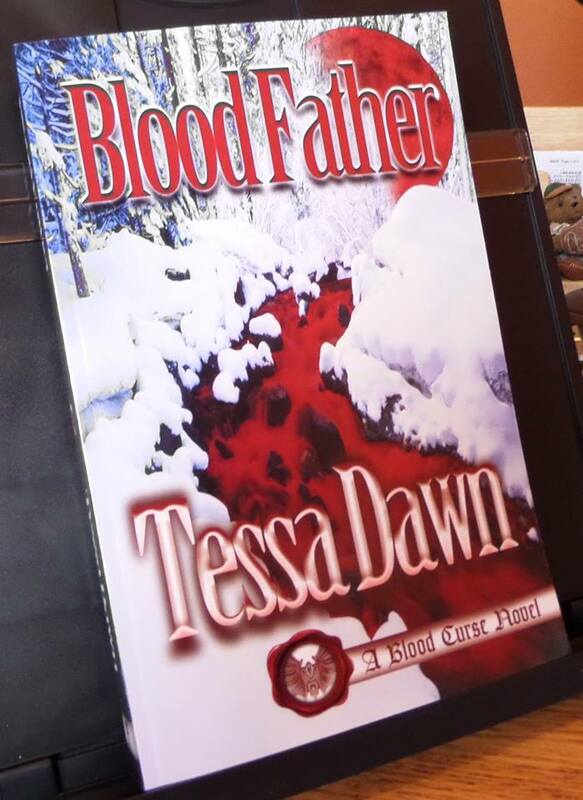 Love Tessa’s books and looking forward to Blood Father! It’s going to be an amazing ride!! Happy reading!! Love your page! Great to see so much support for The Blood Curse Series and Tessa! Thanks for stopping through!! And I hope you enjoy Blood Father as I plan to! I am sooooo looking forward to jumping in! It has been an Amazing ride!! Arms up yelling all the way!! Christine…I haven’t read Blood Father yet…and I’m already awaiting the next story…lol! Love this Dennis!!!! Thanks for all your support!